#23876 Link to this post, but load the entire thread. February 12th, 2019 (6:07 PM). Edited February 12th, 2019 by icycatelf. Congrats on the Shiny Graveler! 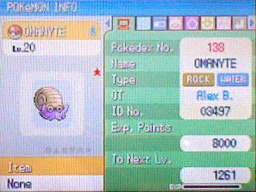 That was the first Shiny that ever got away from me, but I fortunately reclaimed it as a Geodude... last year I think? Still need to get around to evolving it and figure out a good name for a female Golem. I really like the name you gave yours! I got Hau'i's name from the Hawaiian word for frostbite, since he's a bitey Pokémon that I found in an icy area. Now if only Zubat/Golbat/Crobat could learn Ice Fang! #23877 Link to this post, but load the entire thread. February 20th, 2019 (11:27 AM). Edited February 20th, 2019 by G-Money. Location: Looking for shiny Ghosts! I got shiny Misdreavus back in 2015 to revive my starter, but then I totally forgot about Pearl, "lol." I started up again a couple of days ago and saw that I only had 4 badges, so I continued my journey, but on only my second day back, disaster struck!! A tragic calamity befell my team last night - my dear Finneon, whom I was so proud of and thought was a really clever and creative team member choice since I'd never used one before (and hadn't ever even considered having a fished Pokémon on my team but only thought of it to deal with the Nuzlocke rule of only being able to catch the first Pokémon you encounter for each Route), was felled in battle against a lowly Machop! I was aghast and crestfallen, seeing my Water-type star fall so soon after our reunion. I would not stand for this. Finneon had been such a cool choice for my team and I'd really loved using it (along with my shiny Misdreavus, "lol!" ) that I just had to get it back!! So this morning, I doubled back to the Valley Windworks (I don't even have a Flier yet, haha!) since that's where some cool Sinnoh Pokémon are, and I resigned myself to put my Pearl game on hold once again so that I could revive my cherished Finn. It was a real bummer, since I had just gotten back into Pearl (OMG GenIV graphics are the best!!! Sinnoh is such a fantastic region aesthetically and all the Pokémon there are so awesome!! ), and now I'd have to spend months and months on end before being able to even carry on in the game. But I thought about it and realized that it'd be way more fun to play with a cool Finneon on my team, so I figured I'd toil away doing random encounters in the Valley Windworks for however many weeks or months it might take. Haha, this one was pretty unexpected!! I was totally looking at this taking weeks, but I'm absolutely psyched about this one!!! The one hunt that had an impact on me getting back to my adventure, and this shiny is the one that decides to shine super quickly - it only took 417 encounters!! Shellos shone on my very first day of hunting, today at 1:37 PM! I brought along a Kricketune just because it knew Sing, so I used Sing on the first turn and then caught it on the first Premier Ball attempt! The pink of the shiny is really minutely different from the regular, so when it first started rolling across the screen, I was all like, "OMG is that a shiny!!? Wait, they're normally pink and so is this one...actually, it seems like it might be a different color than usual...hmm, let's see if the stars start spinning once it gets to its place...OMG SHINY!!!" "lol" it seemed like a super long time while it rolled across the screen, haha! It's pink, so obviously "Pinky" was one of the first nickname ideas I came up with for it, being the creative mastermind that I am. But I didn't want to name it Pinky since it's a male, so I named him Clyde. Also, I updated my sig for the first time in over three years!!! Hahaha, I knew it would be something awesome!!! That's a terrific nickname, and a terrific reason, too! It's amazingly cool that you even knew the Hawaiian word for frostbite, "lol!" EDIT: OMG OMG OMG OMG OMG OMG OMG OMG OMG OMG OMG you'll never believe this!!!!!!! So I was going to go continue my Pearl game, and I decided to play in bed to enjoy the adventure (once again with Finneon!!!) in max comfort, "lol." But first, I took a shower and figured I'd shiny hunt a bit at the desk while my hair dried so my pillow wouldn't get wet, haha. OMG OMG OMG OMG OMG OMG OMG OMG OMG OMG OMG OMG OMG! What a cool shiny!!!!! This is one of the best-looking shinies ever!!! 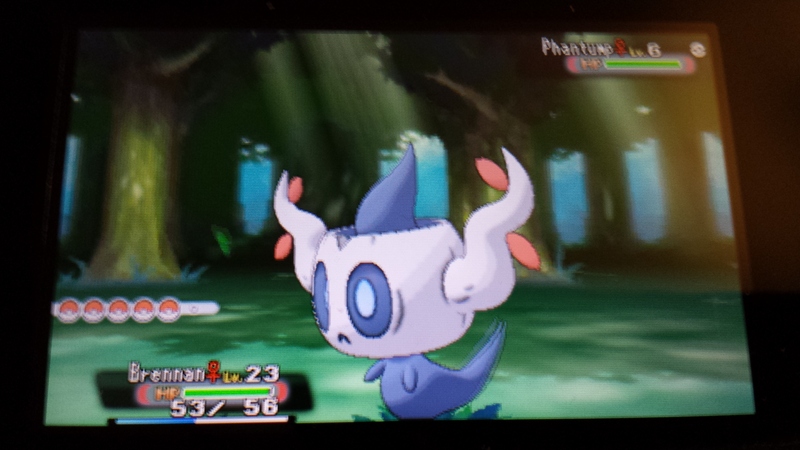 It came on encounter #4999 of the Phase (since I caught Graveler) and #39,700 since I started hunting Sableye. Boldore was one of MetalMario's favorite shinies, and he always had the absolute best taste in shinies, so if he thought it was a cool shiny, you know it's a cool shiny. Boldore arrived at 4:36 PM, less than 3 hours after Shellos, "lol!" I immediately switched to my Damp Quagsire because I don't know if it knows Selfdestruct or not, and then I tried a Dusk Ball. No luck on the first attempt, but then I threw a Luxury Ball, and that one worked! It's kind of fitting to have a super valuable, rare gem Pokémon in a Luxury Ball, haha! I named her Gemini, since that's a cool name...and it has gem in it, "lol!" It's also kind of like a twin to my shiny Graveler! #23878 Link to this post, but load the entire thread. February 24th, 2019 (12:24 PM). In Aug 2017 I started hunting simultaneously in hordes and hatching eggs for a shiny Nidoran f. Between X & Y, I found 25 shinies in hordes before finding the female shiny one year later. After I found the shiny I gave up on the eggs, I had hatched 3,215 eggs. 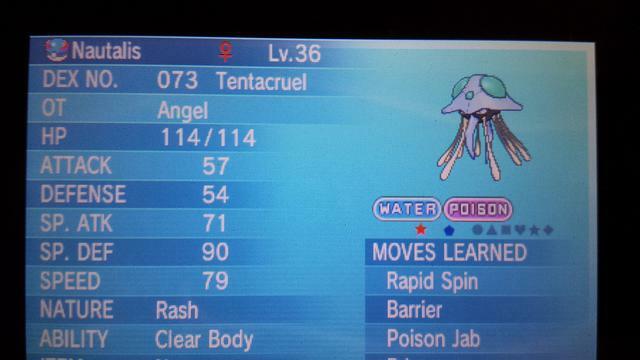 In Dec I put a Venonat in the daycare and today I hatched my shiny Venonat in only 270 eggs. I know each egg hatched has the same odds but I can’t help but feel like the Nidorans and Venonats were one chain of eggs. Also that the Nidorans were shiny locked in my game in eggs. Only thing worse then hatching 3200 eggs would be hatching a shiny male after 3200 eggs. #23879 Link to this post, but load the entire thread. February 25th, 2019 (1:49 PM). Edited February 27th, 2019 by G-Money. Yee-haw!! I'd been going after this guy for a while, haha! I had originally done 555 Snivy SRs on White, but then I played through the game right before I got Black 2 so that I could remember the story before going into the sequels, haha. I got White 2 for Christmas in 2015, and I've been SRing for Snivy a bit every winter since then. This wasn't my longest hunt by number of resets, but it sure felt like the longest by time - each reset takes forever on these guys, haha! 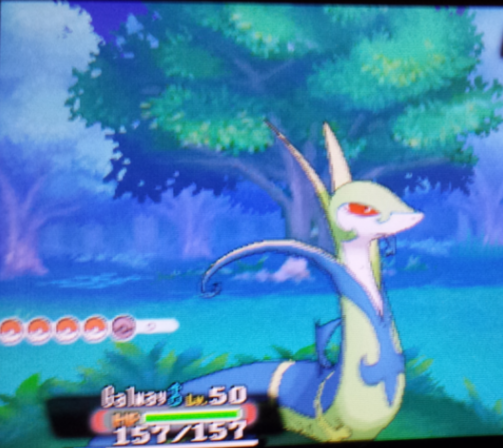 I got like a bazillion shinies while having non-shiny Snivy on my other DS, "lol!" 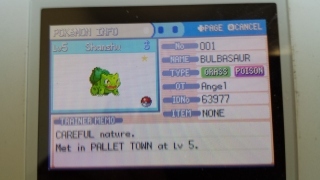 Snivy shone on #13,113, at 1:19 PM today. On to Oshawott! Congrats on the Venonat, Maserati! I've always thought that Venonat has one of the very best color schemes of any shiny. And a super huge congrats on finally getting one of those eggs to shine!! I think your Nidoran♀ hunt might hold the record for most Phases of any shiny hunt ever, "lol!" Another Challenger's Cave shiny! Haha, I'm sure glad I picked here to hunt Sableye - there are so many cool shinies to be found!!! Mawile appeared today (February 27th) at 4:23 PM on encounter #4382, and #44082 since I started hunting Sableye. This was my first shiny that put up resistance in a while, taking 8 Luxury Balls to get captured. It kept dodging my Musharna's Hypnosis, too, so this thing put up quite a fight, haha! I think Mawile was originally found in R/S in that tower where you get Rayquaza, so I named her Raia. Bad backstory, but I'm pretty happy with the name! I've also officially passed 999 hours and 59 minutes for Black, "lol!" On to Phase - *counts on fingers* - VI for Sableye! #23880 Link to this post, but load the entire thread. March 8th, 2019 (12:09 PM). In the past i caught an Electrode, no longer have it though. Currently I have a shiny donphan and raichu. The raichu in claimed in a trade i will be doing soon though so its not available. Any offers for the Donphan? #23881 Link to this post, but load the entire thread. March 12th, 2019 (8:16 PM). Edited 4 Weeks Ago by G-Money. A young trainer entered Mt. Coronet, determined to capture the legendary Pokémon of time: Dialga. But he wasn't searching for just any legend of time. He wanted to become a legendary shiny hunter. His Dialga would shine, and he wouldn't leave the mountain until he found what he came for. He searched day and night, but the Sinnoh landmark would not be conquered by just any traveler. 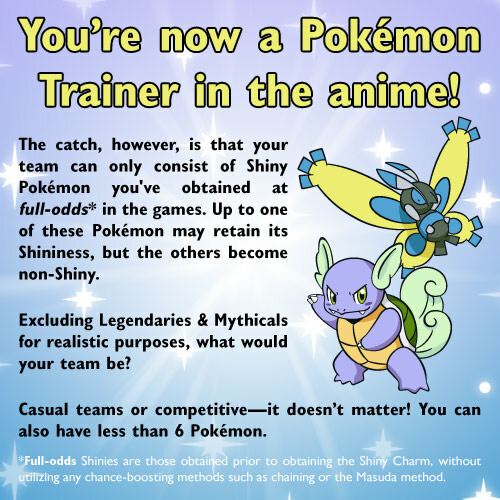 Using the full range of his Pokémon's capabilities - their Strength, their Surf, their Rock Smash, and even their vaunted Rock Climb - the young trainer kept the faith that he and his Pokémon would prevail. They searched high and low, but the fabled shiny of the mountain was nowhere to be found. He would not accept defeat. Setting up camp on the snowy summit, the trainer continued his hunt. Days passed, and soon weeks turned into months. But he was determined not to leave until the shiny Dialga was his. At long last, the hunter bravely weathered the blistering cold of Mt. Coronet's peak and stepped forth onto the very apex of the Sinnoh region - the Spear Pillar itself. And there, waiting at long last to meet the fearless hunter, was the noble legend of time: the great green Dialga. With a Luxury Ball, the young hunter captured the legend, taking the first step on his path to becoming a Legendary Shiny Hunter. Less than a month after Dialga's capture, the young hunter discovered a small cavern in the center of one of Sinnoh's three lakes. Spending many days in search once again, he was rewarded with a prize of tremendous power and wisdom: the shiny Uxie, guardian of the lake. But that was not enough. In the far northern region of Sinnoh, the elders speak of three ancient entities that were involved from the beginning of time itself. These three entities were said to be Dialga, the legend of time; Palkia, the legend of space, and Giratina, the legend of Ghost, that incorporeal essence which is the epitome of all coolness. These Dragons were the true legends, those whose unfathomable powers inspired awe in whatever passersby had the fortune to traverse their graceful regard. The young trainer needed to find the other two. While Uxie was a powerful shiny, it paled in comparison to the roaring Dialga. So the hunter set out once more, scouring far and wide to discover the other two shinies of the Creation Trio mentioned in folklore from time immemorial. The hunter stared in awe at the being before him. At last, it had appeared!!! The legendary Giratina. A battle for the ages ensued, with the blue spectre finally succumbing to a Time Ball, quite fitting coming from the trainer who'd already captured the legend of time. Just one more to go. One final legend of Sinnoh, and the trio would be complete. But alas, the legends of the realm do not bow to just any hunter of shinies. They test one's might, and require the greatest of fortitude in one's heart. The legends are no ordinary shiny Pokémon - they are towering behemoths that exude power and radiance, only presenting themselves to the most worthy of hunters. With his triumph over Giratina, this hunter now had successfully captured 12 shinies. But even with the aid of 12 shiny Pokémon, he was far from worthy of appearing before the legend of space itself. I also started my Palkia hunt today and found out that Palkia has absolutely awesome walk-up music. I dual hunted it with the Johto starters today, and I got up to 250 Palkia. Challenging the master of space, he deigned call forth the final colossus of Sinnoh's trio, time and time again. But the beast would not shine. The battle raged for days and days and days atop Mt. Coronet, but the legend would not deem the hunter worthy. How could one who has not even captured a minute fraction of the small, weak Pokémon that scurry in the tall grass claim the mantle of hunter of shiny legends?? Rending the fabric of space itself, the beast tore open a portal and ejected the hunter from the mountaintop, exiling him to the lowly grasslands of a distant region. He would spend the next seven years and three months searching far and wide, capturing shinies of all shapes and sizes, of varying powers and types. But none held a candle to the monolithic Palkia. These tiny starter and grassland Pokémon would not be of any use in capturing the Dragon of ancient lore. Nonetheless, the hunter carried on with his quest, vowing to return one day with a massive army of shiny Pokémon to challenge the mighty beast and claim the lofty title to which he so boldly aspired. The grizzled veteran - no longer the youthful hunter he once was - reflected upon his recent string of victories. He'd been seeking a shiny Sableye in the Unova region, to no avail. While this Pokémon was but a weak cave-dweller compared to the fearsome Giratina over whom he'd claimed victory in his youth, the cave boasted a number of formidable Pokémon in its own right. There was the exploding Graveler, a large rock monster capable of demolishing any unsuspecting traveler with its Explosion; the respectable Boldore, a cornucopia of gems and valuable stones whose Rock powers could take down even the most cautious of trainers; and the noble Mawile, a mischievous demon of Steel whose unrelenting jaws were the subject of scary tales around campfires the world over. And the hunter had caught all three. With the addition of Mawile, his collection had grown to 78, a sizeable number compared to the meager 12 he'd boasted after the grueling battle with Giratina 11 years prior. While most were small, grass-scurrying Pokémon, they were all capable shinies nonetheless, and the recent additions of Graveler, Boldore, and Mawile emboldened him to once again seek the sparkling legend of space. And so on March 7th, 2019, he ascended the treacherous slopes of Mt. Coronet once more. And there it was. At long last, shiny Palkia was his to confront. Standing firm atop the mountain, he gazed directly into the eye of the beast. And with a thunderous roar, the beast challenged the hunter, now worthy of combat after so many arduous years of battles with lesser shinies. The hunter sent out Modesto, a Sychronize Kadabra who'd been captured and trained solely for this one moment. This was his time to shine. But the mighty legend had no pity for the weak. It instantly launched a pulse of water at the Psychic, whose pedestrian stature was nothing more than a speck of sand in the shadow of the towering Dragon. The hunter called Modesto back to its Poké Ball, replacing it with yet another weak grassbound Pokémon: Karla, the cheerful Kricketune. Karla's pitiful size did not preclude it from exhibiting great utility, however. Her melodious Sing put the legend of space to sleep, allowing the trainer to toss Heal Balls at the elusive shiny. But the first capture attempt failed, as did the subsequent. Karla tried once more to lull the beast to sleep, but Palkia would not fall for the same deceptive maneuver twice. With a Spacial Rend, it tore open a portal of space and sent the feeble Bug to its doom. The hunter mourned for the loss of his comrade, a noble veteran of his long Nuzlocke journey that would now have to be laid to rest. So fell Karla. Fearing the permanent loss of yet another trusted team member, the hunter paused before sending another friend into the battle. He settled on the strongiest, bulkiest, most reliable member of his squad: Finn, the unyielding Lumineon. Finn was the team member of whom the trainer was most proud, boasting mighty defenses and tremendous coverage for a Water-type companion. Finn was such an integral part of the team that, after he had fallen in battle once before, the entire team had journeyed clear across the region in search of a shiny so that he might be revived, ultimately enlisting the aid of one shiny Shellos named Clyde. Thus emerged Finn from his Ball, ready to take a hit or two to give his trainer enough time to capture the legend he'd sought for so many years. The hunter readied another Heal Ball in his hand, determined to capture the pink shiny in a pink Ball, one whose sparkly aesthetic meshed so well with the glisten of shiny Pokémon. ...he launched the Heal Ball, and shiny Palkia was captured!!! I caught shiny Palkia!!! It's my first shiny legendary since 2008!!! It came at 10:21 PM on March 11th. It was encounter #7703 overall, but I had done 5702 encounters back in 2011, so it only took 4 days and 2001 encounters since I started back up this year. I caught it on the fourth Heal Ball attempt, and I'm lucky I saw the blue stars out of the corner of my eye when it appeared since I'd have never known it was shiny otherwise, "lol!" I actually didn't save until after I went back to the box and checked to make sure it was shiny because the normal version and the shiny one are so similar, "lol!" 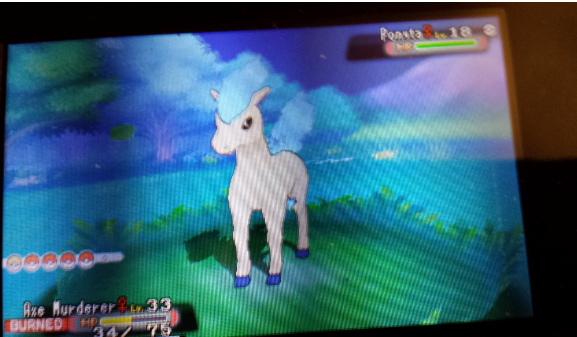 But this was a shiny I'd wanted for a really long time, so I'm really glad I have it now!! And the Modest sync worked, too!!! Thus concludes my "Hunt Zero"! 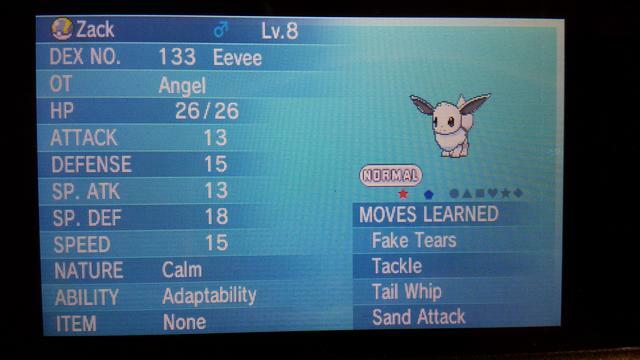 I lost my starter (again, "lol") so I figured I'd SR for a shiny Azelf before heading on to face the eighth gym. So I went for another shiny legendary, and now I have 5!!! Azelf shone on encounter #6096, and I caught it on the very first Quick Ball attempt! It didn't even get to get a move in, "lol!" And unlike Palkia, it's a really distinct shiny, with colors that are really strikingly different from the original. The Timid sync worked, too! That's two powerful legendaries in a row that I got with the perfect nature, haha. I was totally expecting the level 4 Abra to get wrecked, but that Quick Ball working right away meant my whole team escaped without any damage whatsoever! I got it at 8:18 PM on March 19th, 2019 and nicknamed it Gathril. Azelf was commonly used a lead in GenIV competitive battles, and Joey Gathright was one of my leadoff hitters in MVP Baseball 2005, so it seemed to fit, haha! Getting his name on a legendary shiny Pokémon is but the latest great accomplishment of the obscure Devil Rays center fielder, "lol!" I really like the way I can put this on my banner - back in 2007, Uxie was the first shiny I got after Dialga, and now Azelf is my first shiny after Palkia. On the banner in my sig, both Dialga and Palkia are the first shiny on their "line" (multiples of 6 before the banner resets), so it's a nice bit of symmetry, haha. That is, it will be once I get around to updating it, hahahahaha! In other Pearl news, I managed to find three shiny Clefairy!!!!!!!!! ...on the slot machines at the Veilstone Game Corner, "lol!" I had never considered using TMs before in a pre-GenV game, but having the really good TMs as prizes makes them kind of reusuable, in a way. I was able to teach Ice Beam to Finn and Psychic to my shiny Misdreavus! This makes the game a lot more fun, hahahaha!! #23882 Link to this post, but load the entire thread. 4 Weeks Ago (8:55 AM). #23883 Link to this post, but load the entire thread. 3 Weeks Ago (12:18 AM). Currently in Omega Ruby I have a Masuda Method Cyndaquil hunt that's at about 3000 eggs. It's been running on and off for a few years so I'm not sure the exact count but it's enough that I've filled my entire PC system a few times. On my Moon file I have been soft resetting for Type: Null with 1298 resets thus far. Both these hunts are currently paused just because I don't have the cartridges with me. The hunt that I do still have going on is my masuda method Mawile hunt on Ultra Sun with 1431 eggs hatched thus far. Hoping to get a shiny soon out of that. #23884 Link to this post, but load the entire thread. 3 Weeks Ago (3:12 AM). Edited 3 Weeks Ago by Darkpoké001. 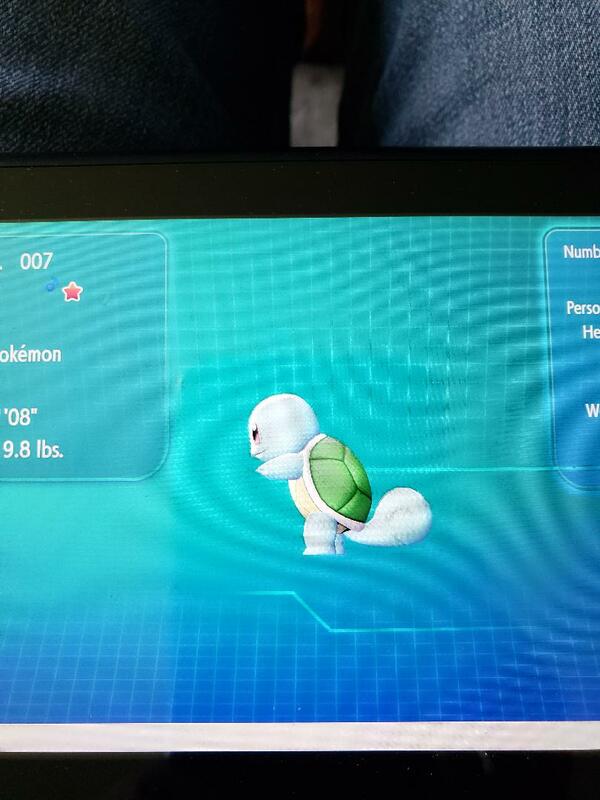 Good morning all, I've claimed another shiny! 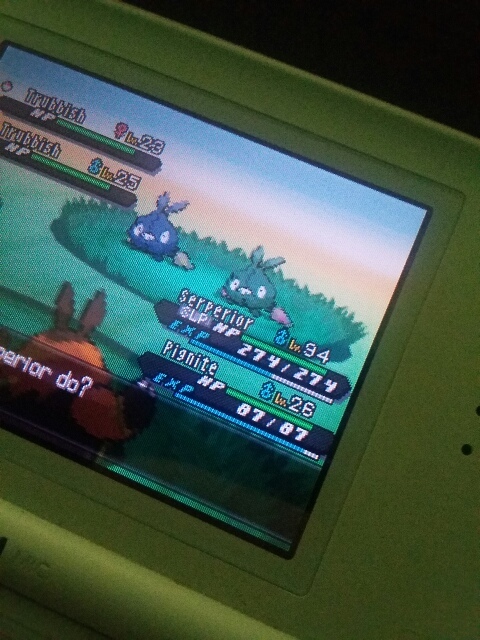 I've recently restarted Black 2 and decided to shiny hunt (I've only ever found two random shinies in gen 5) and after hunting in dark grass on this (and on White on another DS) a Trubbish shined on my Black 2! there's not too many methods to hunt shinies in gen 5 but in a way, it makes it feel much more valuable when one does! 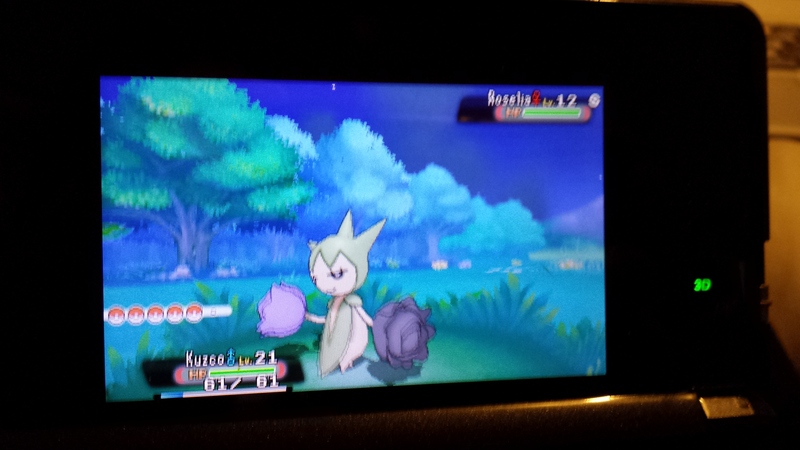 and now, at two in the morning, I ran into a SHINY KARRABLAST through random encounter! (again on Black 2)! it's so cool seeing the old shiny sprites and I'm hoping to hunt down more. #23885 Link to this post, but load the entire thread. 3 Weeks Ago (11:08 PM). G-Money invited me to check this place out. I've got a handful of shinies, most in AS and LGE. Meowth in LGE, half to level up my Psyduck. #23886 Link to this post, but load the entire thread. 3 Weeks Ago (12:26 PM). Edited 3 Weeks Ago by G-Money. Welcome to the SHC, everyone!! I'm so glad you all joined!! With the announcement of GenVIII, I realized that I haven't gotten any GenVII shinies yet, "lol!" So I picked up my Sandygast hunt on Moon, and I've been hatching eggs there for a while. I also realized that I only have one Ghost/starter from GenVI (Honedge), so I've started hatching Fennekin eggs in X as well. I've hatched about 2700 Fennekin so far, so hopefully I'm over halfway there! And my Oshawott hunt seems to be going much faster than my Snivy one did - I'm already up to 3425 SRs! Haha, "notorious Diamond nuzlocke" sounds like you have some cool stories to tell, "lol!" I'm actually doing a Pearl Nuzlocke right now where I'm using shinies as excuses to bring back my team members, haha! I've gotten four so far by hunting them, but I couldn't imagine getting four totally random. You must have crazy good luck!! 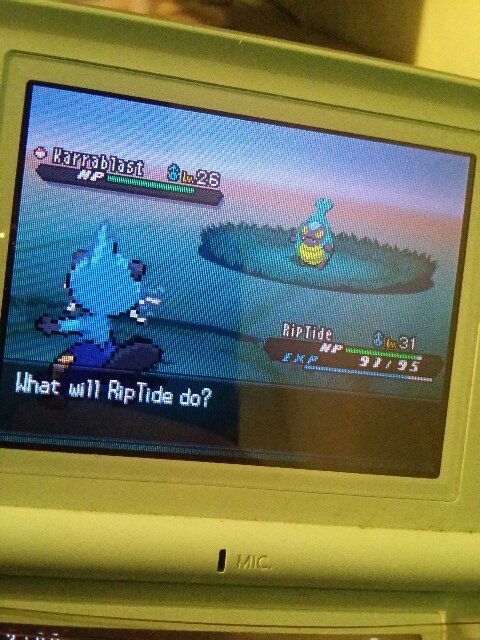 SHINY KARRABLAST through random encounter! (again on Black 2)! it's so cool seeing the old shiny sprites and I'm hoping to hunt down more. Congrats on the Trubbish and Karrablast, Darkpoké! I'd never seen what shiny Karrablast looked like before your photo, and I had no idea it looked so awesome!!! Cyan is, like, my favorite color, haha! "lol" Clawdia is a fantastic name for a shiny Sneasel, haha! And congrats on getting that shiny Bulbasaur!! Welcome again to all the new members and I hope Charmander, Mawile, a cool Black 2 encounter shiny, and Meowth/Rowlett AND OSHAWOTT, FENNEKIN, AND SANDYGAST shine soon!!! #23887 Link to this post, but load the entire thread. 3 Weeks Ago (4:03 PM). Edited 3 Weeks Ago by Liquid Halo. I've since changed that, her name is Gypsy now, influenced by the design of the Pokemon...I think. I haven't played Platinum in a while. #23888 Link to this post, but load the entire thread. 2 Weeks Ago (3:40 PM). Edited 2 Weeks Ago by icycatelf. Finally finished my full-odds Omanyte hunt! I wasn't keeping count (I never keep count anymore), but this was definitely one of my longest hunts (third or second, I think). I'm thinking about naming him Gon (long O, like Gon from Hunter x Hunter) in reference to my worn Goniatite fossil. Also, with this, I think I want to update my team for the anime game. Shiny Dunsparce: My sentimental favorite and pretty much my mascot. Wartortle: My favorite Pokémon design. One could even say that Squirtle was my Starter Pokémon. It may not have been my first in the games, but it was supposedly my first Pokémon toy (in the form of a candy dispenser). I also remember catching a turtle when I was younger and keeping it as a pet (though I ended up turning it loose). Persian: I live with cats, one of my own, so I've got to have a cat Pokémon on my team! Shedinja: Such a clever concept! I already thought it was cool with its unique Ability and obtaining method, but it wasn't until having an outbreak of periodical cicadas and finding their shells all over the place that I really came to appreciate its concept. Definitely a Pokémon I could see myself having IRL. Omanyte: I enjoy fossil-hunting. 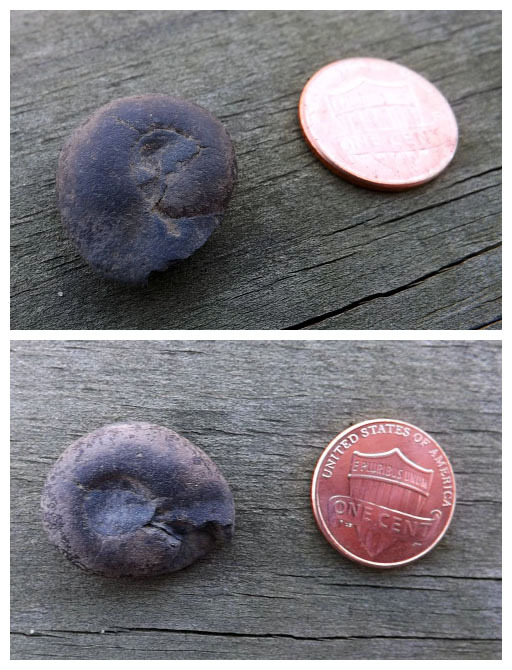 While most of the fossils here are plant-related, I did luck out one day and find a Goniatite ammonoid in the creek. These tiny spiral-shelled squids aren't "true" ammonites like Omanyte was based on, but they're closely-related. #23889 Link to this post, but load the entire thread. 5 Days Ago (9:45 PM). So, my first post here, huh. Well, I've been playing pokemon liquid crystal (rom hack of fire red) and I have 7 shinies (most of them being legendaries, but oh well. Still difficult as all hell to catch). Here's a picture of my umbreon. #23890 Link to this post, but load the entire thread. 3 Days Ago (1:42 PM).